Tacos are a favorite food world wide thanks to their incredible flavor, simple ingredients and ease of eating. Thanks to the trusty tortilla, you don’t even need a plate to eat this delicious food. In Mexico, street taco vendors are where you can find some of the most delicious and inexpensive food that locals and visitors alike enjoy. 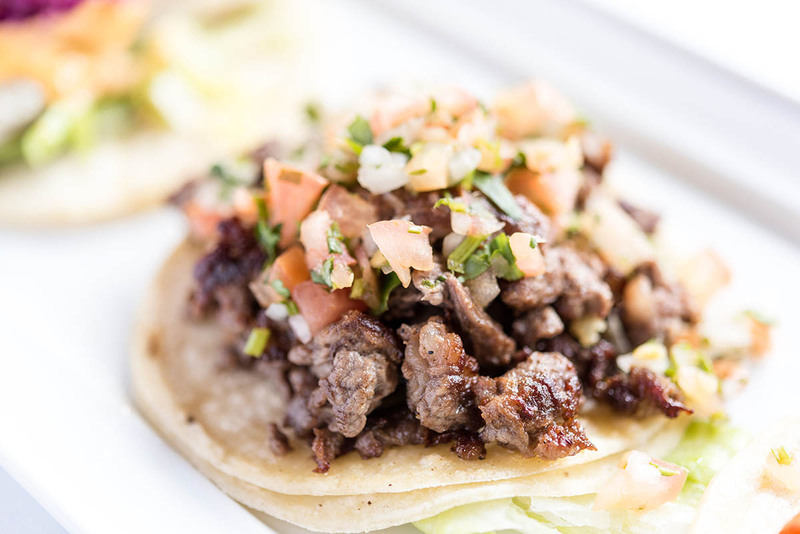 With everything from al pastor, carne asada and fish tacos, there is taco that will be perfect for everyone. What makes your perfect taco? Read below to learn more about the most popular tacos in Mexico, and a recipe to make your own perfect taco at home. Carne asada tacos are beef tacos that have been grilled or seasoned with spices, usually basic salt, pepper and cumin do the trick. Try some hot, mild or medium spicy salsas on top, or keep it simple and enjoy it plain. Want to really indulge? Ask for melted cheese on your taco for an extra mouth watering combination that is not exactly authentically Mexican, but who doesn’t love cheese? Al pastor tacos are a classic Mexican taco that is a top seller. 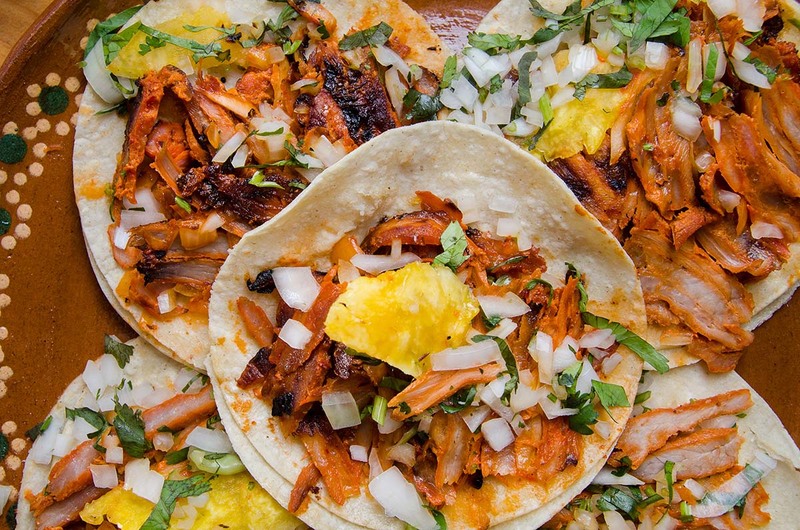 Made from marinated and seasoned shredded pork, traditional al pastor tacos are served on a corn tortilla and topped with onions, cilantro and fresh slices of pineapple. The combination of the savory and sweet is a winning choice. Add some fresh guacamole salsa for a cool and tasty touch. 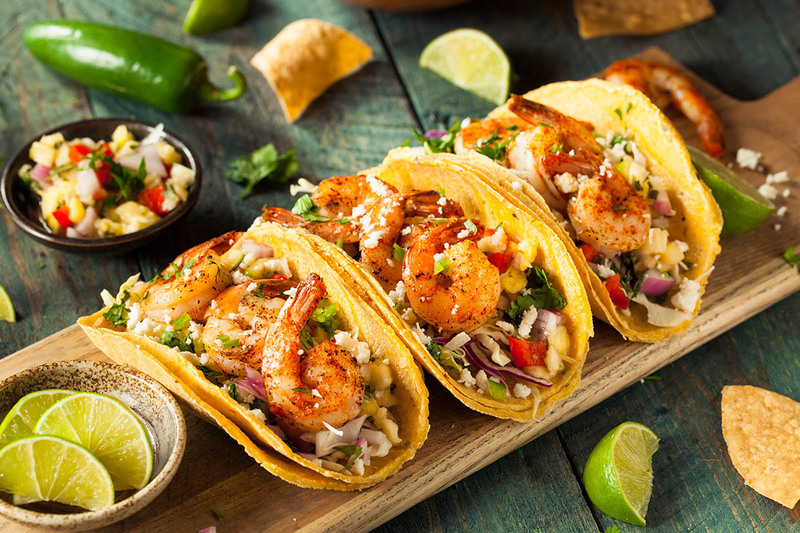 Fresh and healthy fish tacos originated on the Baja California peninsula and have made their presence known throughout Mexico and the rest of the world is taking note. Grilled or battered, fish tacos are another popular taco that has a huge fan base. Top with fresh toppings such as cabbage or lettuce and any sauces or salsas you desire. Now which of these 3 top tacos is your favorite? 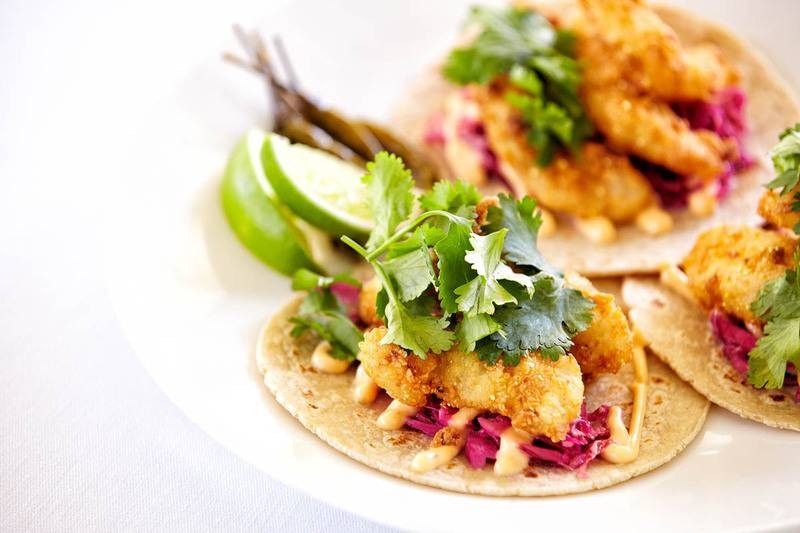 Try this simple Fish Taco recipe at home if you are in the mood for a fresh and light meal. Sautee chunks of fresh fish in a pan with a few teaspoons of olive oil – Yellowtail or Mahi Mahi are great choices. Add diced garlic if you so desire. Season the fish to taste with salt, pepper and lime juice. Heat up corn tortillas on a comal or skillet by equally warming both sides for a few minutes on medium heat. Taco toppings: Try a variety of fresh toppings including lettuce, tomatoes, onion, cilantro, carrots or cabbage. Mix and match to suit your taste. Want an easy and creamy sauce to go with your fish taco? You can make a homemade chipotle sauce by simply mixing mayonnaise with a few canned chipotle peppers. This easy sauce is the perfect compliment to top your fish taco, and squeeze some fresh lime juice on top for added zing. Provecho! We hope you enjoyed this article about tacos. Ready to make your own tacos at home using our easy fish taco recipe? If you are looking for hot Puerto Vallarta real estate, look no further than the stunning beachfront residences at Garza Blanca. Situated on a pristine beach in the spectacular Banderas Bay, Garza Blanca private residences are elegant, well constructed, and full of attention to detail. Visit Garza Blanca’s website at www.garzablancarealestate.com today to see which luxurious units are still available. Don’t hesitate as you too could be living the dream Puerto Vallarta lifestyle soon!